During this past World Series of Poker the biggest controversy that was getting the most attention was the decision to delay the main even final table for four months once the field was cut down to the last nine remaining players. 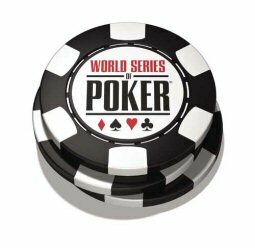 This upcoming World Series of Poker it looks like the biggest controversy is going to be the possibility that the World Series of Poker is going to get rid of all of the re-buy tournaments that are offered throughout the World Series of Poker. The main reason for this is because top officials within the World Series of Poker have been getting many complaints that the professional poker players could almost buy the bracelet for the event since they come with a very, very large amount of money when the not so fortunate come to the tournament with enough to re-buy two or three times. The possibility of this happening is still up in the air because it is still being discussed with between World Series of Poker Officials and the Players Advisory Council. Even though it is just a discussion right now and nothing yet is final, many well known pros are voicing their opinion either for or against the idea. For example, Daniel Negreanu is actually for getting rid of the re-buy tournaments because he admits that the re-buy tournaments give him an unfair advantage over a majority of the field. Another example would be Layne Flack who has been very open about being against the ban of re-buy tournaments in the World Series of Poker. Layne is the reigning $1,500 Pot-Limit Omaha re-buy tournament champion from the 2008 World Series of Poker and he is saying it wouldn’t have mattered how much money he had because he had to fight it out for the bracelet as hard as everyone else and in the end it was his skill that won the bracelet, not his wallet size. Another change that could be a possibility for the 2009 World Series of Poker is the officials are considering adding in a freeze-out style tournament which is basically a winner take all tournament. However these are just some possible changes for the 2009 World Series of Poker and the official schedule will not be released until early 2009.